Set your meetings, phone calls and emails aside, at least for the next several minutes. That’s because today you’re a bee. It’s time to leave your hive, or your underground burrow, and forage for pollen. Pollen is the stuff that flowers use to reproduce. But it’s also essential grub for you, other bees in your hive and your larvae. 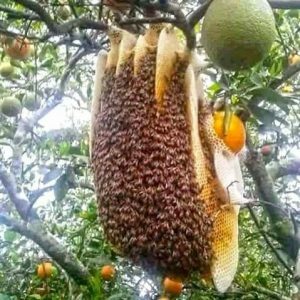 Once you’ve gathered pollen to take home, you or another bee will mix it with water and flower nectar that other bees have gathered and stored in the hive. But how do you decide which flowers to approach? What draws you in? In a review published last week in the journal Functional Ecology, researchers asked: What is a flower like from a bee’s perspective, and what does the pollinator experience as it gathers pollen? And that’s why we’re talking to you in the second person: to help you understand how bees like you, while hunting for pollen, use all of your senses — taste, touch, smell and more — to decide what to pick up and bring home. Maybe you’re ready to go find some pollen. But do you even know where to look? reward for pollinati ng insects. lect pollen to pro vision oﬀspring. sory pathways involved in evaluat ing this resource are not imm ediately obvious. detection of, and learning about, pollen sources and associated ﬂoral cues. ral food reward sh apes the behaviour of pollinating insects. attractive ﬂoral displays and rewards for pollinators. reward (for reviews, see Nicolson 2011; Nepi 2014). the relevant facts and insights. the pollen they choose to collect. cies do not collect pollen from all plant species available. Schmidt & Hanna 2006; Avni et al. 2014; Vaudo et al. species and individual plants in a multitude of respects. corbiculate bees (Roulston & Cane 2000; Campos et al. Do foraging bees taste pollen? frequently come into contact with pollen during collection. len from the anthers with their mandibles (Thorp 1979). covered body and the mouthparts. But what can bees taste? 2014); 52 genes for 76 receptors in mosquitoes (Hill et al. (Wright et al. 2010; de Brito Sanchez 2011; Kessler et al. to be sensitive to the presence of amino acids in nectar. pathways are involved in the assessment of pollen rewards. 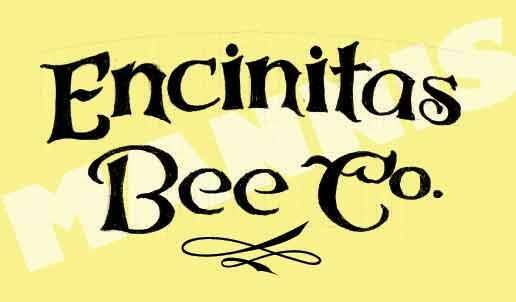 by bees, given that no association was formed. ure of the information extracted from pollen rewards. Giurfa & Malun 2004; Nicholls & Hempel de Ibarra 2013). entrance marked by the alternative, unrewarded colour was blocked at the end with mesh, allowing pollen odour to diﬀuse. overall olfactory signature of pollen-rewarding ﬂowers. ance (Nicholls & Hempel de Ibarra 2014). test bees under more controlled conditions. ging of the antennae with a sticky substance. Baker 1983; Hempel de Ibarra, Vorobyev & Menzel 2014). inﬂorescences and across colocated plants. Tip: To annotate, select any text in the article to get the annotation menu. You can add highlights and comments, which will be listed here in this panel.